Based on newly discovered, secret documents from German archives, diaries and newspapers of the time, Gun Control in the Third Reich presents the definitive, yet hidden history of how the Nazi regime made use of gun control to disarm and repress its enemies and consolidate power. The countless books on the Third Reich and the Holocaust fail even to mention the laws restricting firearms ownership, which rendered political opponents and Jews defenseless. A skeptic could surmise that a better-armed populace might have made no difference, but the National Socialist regime certainly did not think soit ruthlessly suppressed firearm ownership by disfavored groups. 3. Keeping Firearm Registrations Out of the Wrong Hands? Conclusion: Whither the German Resistance, Whither the Holocaust? The perennial gun control debate in America for the past half-century did not begin here. Many of the same arguments for and against the freedom to own firearms were made in the 1920s in the chaos of Germany's Weimar Republic, which opted for gun registration and prohibition. Those measures restricted law-abiding persons who complied with the law, but had no effect on the ongoing political violence between the Communists and the emerging Nazis. There would be unintended consequences. Weimar Germanys gun registration laws set the stage for the tragic deaths of people like Alfred Flatow, a German Jew who won first place in gymnastics at the 1896 Olympics. In 1932, Flatow registered three handguns as required by a decree of the Weimar Republic. After Adolf Hitler seized power in 1933, the registration records were used to identify, disarm, and attack enemies of the state, a euphemism for political opponents and Jews. By 1938, the Nazis had deprived Jews of the rights of citizenship and were ratcheting up measures to expropriate their assets. Police used the registration records to locate and arrest Jewish gun owners such as Flatow, who was turned over to the Gestapo and, like millions of others, was later murdered in the Holocaust. Countless books about the Third Reich and the Holocaust fail to mention the firearms restrictions that rendered political opponents and Jews defenseless. A skeptic could surmise that a better-armed populace might have made no difference, but the National Socialist regime certainly did not think soit ruthlessly suppressed firearm ownership by disfavored groups. Newly discovered documents reveal that even before the Nazis seized power in 1933, a future legal advisor to the Gestapo, Werner Best, proposed the execution of anyone who refused to surrender their firearms. Also, weeks before the 1938 pogrom known as the Night of Broken Glass, even Jews who surrendered their registered firearms were taken into custody by the Gestapoa little-known fact that suggests that a major action against the Jews was already planned. The history of Germany, 19181938, is a telling case study in the timeless gun control debate that provides an important historical perspective to recurrent questions: Should the people have a right to keep and bear arms? Should firearms be restricted to the police, military, and favored groups designated by the government? Is it possible that restrictions may go horribly wrong? What lessons does history teach? A year before Adolph Hitler took power in 1933, the German Interior Minister directed that gun registration records be made secure to keep them from falling into the hands of radical elements. His efforts proved futile: the records fell into the hands of the Nazi government, which used them to disarm their political enemies and the Jews. By 1938, the Nazis had deprived Jews of the rights of citizenship and were ratcheting up measures to expropriate their assets. Based on newly discovered documents from German archives, diaries, and newspapers of the time, Gun Control in the Third Reich presents the hidden historyin a readable but well documented, scholarly mannerof how the Third Reich made use of gun control to disarm and repress its enemies and consolidate its power. The book is divided into four units, each with three chapters, representing distinct historical periods. It spans the two decades from the defeat of Germany in World War I in 1918 through the Night of the Broken Glass in 1938. A concluding chapter presents a panorama of events during World War II. Part I begins by describing the chaos in the aftermath of World War I, a time when the struggling Weimar Republic repressed Communist insurgencies as well as attempted rightist coups, such as Hitlers Beer Hall Putsch. The suppression could be brutal: those caught with arms, including Red Cross nurses in one instance, were executed on the spot. The Versailles Treaty and repressive measures resulted in confiscations of firearms from law-abiding persons, while extremist groups secreted arms caches and fought in the streets. In 1928, after public debate involving arguments heard even today, the liberal Weimar Republic adopted Germanys first comprehensive gun control law. The law required licenses for the acquisition and carrying of firearms, giving the authorities discretion to deny licenses based on purported lack of need or disqualification based on a subjective determination of dangerousness. The law failed to end the extremist violence. In secret documents that were discovered by the authorities, future Gestapo legal adviser Werner Best proposed a Nazi takeover in which Jews would be denied food and those refusing to surrender their guns would be executed. Partly in reaction to the discovery of such extremist plans, the Weimar era ended with a decree that could later facilitate Bests plana requirement to register all firearms and authorization to police to confiscate them. The Interior Minister warned that the registration records must not fall into the hands of any extremist group. Yet they could have anticipated by then that the Nazis, the leading extremist group, could take power. Part II describes how the Nazis seized and consolidated power. In 1933 Hitler was named Chancellor, the Reichstag was set ablaze, emergency powers were granted to suspend constitutional rights, and Hitlers police initiated mass searches and seizures for subversive printed matter and firearms. Social Democrats and other political opponents in this onslaught were invariably described as Communists. Gun licenses held by Jews and the politically unreliable were cancelled. Police raids to search for and confiscate firearms and publications swept Germany, from passengers baggage at railway stations to offices of political parties and to entire Jewish communities. A case study of Brandenburg, the German state that surrounds Berlin, shows how police used lists of licensed gun owners, assessed whether they were politically reliable to Nazism, and if they were not, cancelled their licenses and confiscated their firearms. Social Democrats were automatically disqualified. This was yet another step to nip in the bud resistance to National Socialism. National Socialist power was consolidated in part by defining and disarming the politically unreliable and the enemies of the state. Legal theories were debated as to how to secure the New Order. The result was that persons in such categories could be disarmed, deprived of civil rights, and thrown into concentration camps. Part III focuses on the five years of repression that followed. During this time Nazi leaders leisurely conferred on amendments to the Weimar firearms law, which could be revised as society was cleansed by National Socialism. The Night of the Long Knives verified that Hitler could murder any opponent. Undesirables were placed in camps where labor made them free, and the Nürnberg Laws stripped Jews of their citizenship. The first major Aryanization of a Jewish business, seen in Europe as an attack on private enterprise, was the expropriation of a major firearm manufacturer owned by Jews. By now Germany still had laws to which citizens were subject, but also Gestapo prerogative which courts could not review. The Gestapo banned independent gun clubs, arresting their leaders who failed to surrender their offices to Nazis. Gestapo counsel Werner Best issued a directive to police authorities throughout Germany forbidding issuance of firearm permits to Jews. In 1938, Hitler signed a new firearm law which exempted Nazi Party members from some restrictions. It ostensibly made long guns easier to acquire, but the reform was hollow in that firearm ownership was denied to the perennial enemies of the state, many of whom had been removed from society. For the first time, it prohibited Jews from the firearms industry and banned ordinary .22 hollow point ammunition. The annexation of Austria had occurred just in time to apply the law there. Part IV begins with the prelude to the Night of Broken Glass. Weeks before the November 1938 pogrom, police ordered Jews to surrender their firearms and other weapons. Jews who turned in their registered arms at police stations were still turned over to the Gestapo. 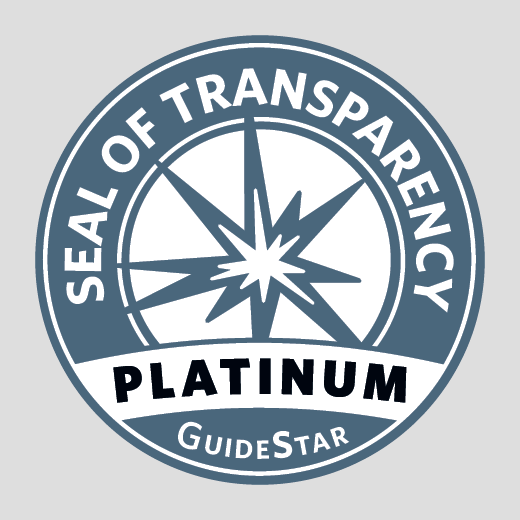 The registration records revealed those who failed to comply. This represents substantial evidence, albeit ignored by historians, that a major action against the Jewish population was already planned, as disarming them would minimize the risk of resistance. An incident was needed to unleash the pogrom. With the shooting of a German diplomat in Paris by a teenage Polish Jewthe incident they were waiting forHitler approved and Propaganda Minister Joseph Goebbels orchestrated the Night of the Broken Glass. This massive search and seizure operation, allegedly for weapons, entailed the ransacking of homes and businesses, and the arson of synagogues. SS chief Heinrich Himmler decreed twenty years in a concentration camp for possession of a firearm by a Jew. Diaries and other eyewitness accounts record how the Jewish victims themselves, including gun owners as well as those not remotely connected to gun ownership, described the onslaught. Rusty revolvers and bayonets from the Great War were confiscated from Jewish veterans who had served with distinction. Valuables were stolen in house searches allegedly for guns. These accounts by the victims, many of them women and children, bring to life the horror of having ones house ransacked by Nazis and countless husbands and fathers arrested and thrown into concentration camps. The Night of Broken Glass has rightly been described as the prelude to the Holocaust. Whither the German Resistance? Whither the Holocaust? The books concluding chapter presents a potpourri of events during World War II, the second half of the thousand year Reich, to explore the effects of the disarming policies of the previous two decades. Jews about to be deported to death camps were searched one last time for weapons. Why was there no armed partisan movement in Germany, and why was resistance limited to small groups like the White Rose students and the military conspirators who were unsuccessful in killing Hitler? In the occupied countries, the Nazis decreed the death penalty for possession of a firearm, but there were instances of heroic armed resistance by Jews, particularly the Warsaw ghetto uprising. Despite the significance of the perceived necessity by the Nazis ruthlessly to disarm political enemies and Jews, historians have failed to address this critical subject. 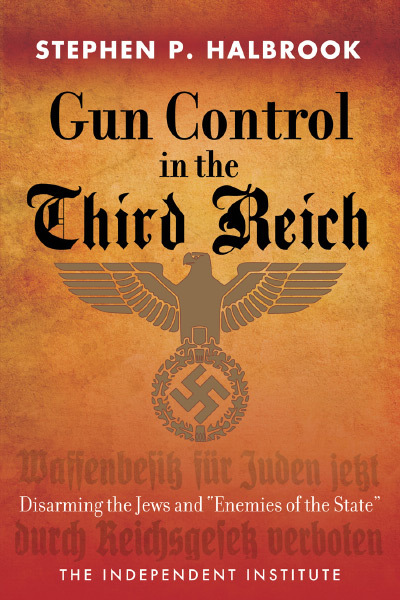 Gun Control in the Third Reich presents the first analysis of the use of gun control laws and policies to pave the way for and consolidate the Hitler regime, rendering Jews and all other enemies of the state defenseless. James B. Jacobs, Warren E. Burger Professor of Law, New York University; author, Can Gun Control Work? "With Gun Control in the Third Reich, Stephen Halbrook has written an important and disturbing book. It provides a timely reminder that self defense and the right to bear arms are fundamental human rights." In Gun Control in the Third Reich, Stephen Halbrook has uncovered and thoroughly documented a long-overlooked aspect of Hitler's rise to Power and ultimate genocide of German Jewsthe disarming of the citizenry made possible by gun registration and confiscation laws adopted during the Weimar Republic. The parallels to todays gun control debates in the United States are bone-chilling, and ought to raise a red flag call to action for all freedom-loving Americans." "Based on newly discovered secret documents from German archives, diaries and newspapers of the time, Gun Control in the Third Reich presents the definitive, yet hidden history of how the Nazi regime made use of gun control to disarm and repress its enemies and consolidate power. While voluminous scholarship has documented the Third Reich and the Holocaust, this is the first thorough examination of the laws restricting firearm ownership that rendered Hitler's political opponents, as well as the Jews, defenseless. It also makes a compelling case that the National Socialist regime considered suppression of firearm ownership by disfavored groups a critical element of achieving its objectives. . . . Not every person who seeks disarmament is a dictator, but without question, dictators abhor an armed populace." Stephen P. Halbrook is a Research Fellow with the Independent Institute who has argued and won three constitutional law cases before the U.S. Supreme Court. Dr. Halbrook is the author of eight books including The Founders Second Amendment: Origins of the Right to Bear Arms; Securing Civil Rights: Freedmen, the Fourteenth Amendment, and the Right To Bear Arms; That Every Man Be Armed: The Evolution of a Constitutional Right; A Right to Bear Arms: State and Federal Bills of Rights and Constitutional Guarantees; Target Switzerland (also in German, French, Italian, and Polish editions); and The Swiss and the Nazis: How the Alpine Republic Survived in the Shadow of the Third Reich. He holds a Ph.D. in philosophy from Florida State University and J.D. from Georgetown University Law Center. His popular articles have appeared in the Wall Street Journal, San Antonio Express-News, Environmental Forum, USA Today, and Washington Times, and he has appeared on numerous national TV/radio programs such as The Phil Donahue Show and programs on Fox Business Network, Court TV, Voice of America, CNN, and C-SPAN.